Ferrari has seen its profits rise in 2013, despite a deliberate policy of restricting the number of road cars that it sells. Last year, the company’s revenues rose 5 per cent to £1.885bn, its trading profit to £299.5m and its net profit to £201m for the year. Revenues from ‘brand related activities’ were also up 3.6 per cent to £44.2m. All-important profit margins rose to 15.6 per cent. These results came despite a 5.4 per cent fall in the number of ‘homologated’ cars that were delivered to dealerships. The total was down 5.4 per cent to 6922 units. Ferrari states it also investing ‘very heavily’ in research and development for future models, last year spending some £267m, which was ‘almost’ 15 per cent of the company’s revenues. It’s a proportion that is around double of what the typical premium carmaker spends on R&D. The good news is topped by Ferrari’s declaration that it also has £1.15m cash in the bank, further bolstering the company’s ability to innovate and launch future products. Further gains are made on the average amount spent by customers on optional extras, says Ferrari. The average spend per model has risen from £14,000 to £24,000. A total of 2035 Ferraris were sold in the US last year, 677 in the UK, 652 in Germany and some 700 in China, Hong Kong and Taiwan. 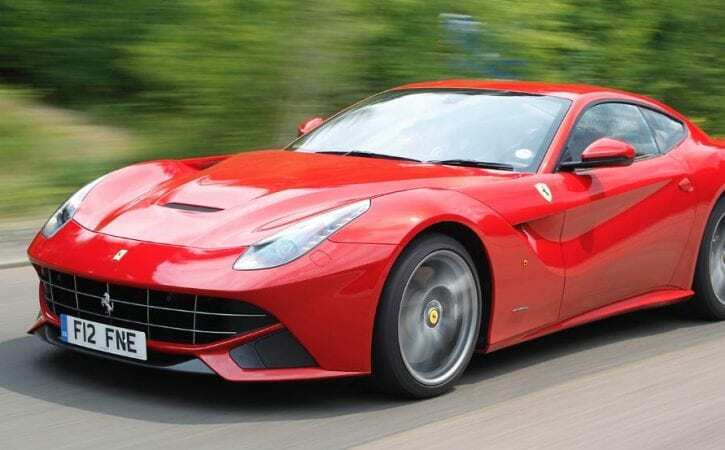 Meanwhile, Ferrari has also been judged to be the world’s most powerful brand for the second year running by London-based Brand Valuation specialists, Brand Finance.